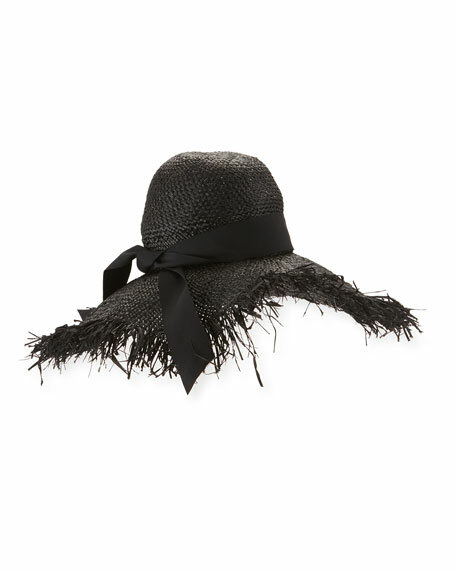 Gigi Burris "Été" sun hat in raffia. Tied ribbon hat band at break. For in-store inquiries, use sku #2139898.